This is very cool. Raya Yarbrough sent this video from Comic-Con 2009 in San Diego to me months ago and I'm just getting around to watching it now. I actually got a little emotional. James is such a sweetheart! For those that care, I am planning on interviewing Bear again as he's got several projects in the works. 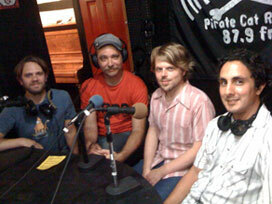 Click here to see my interview with Bear McCreary, Battlestar Galactica composer. 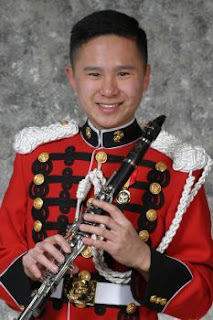 Let me introduce my good friend, Staff Sergeant Harry Ong, a clarinetist in the President's Own United States Marine Band. We went to the University of Michigan School of Music together and spent a good deal of time hanging out in Washington D.C. when I lived there in 2003-2004. He still lives in the Nation's Capital and is in his sixth year playing with the Marine Band. 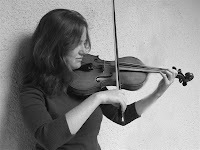 If you’ve been following my blog for a few months, you know that I like to keep up with what my friends and former classmates are up to musically. It’s been interesting for me personally to watch Harry experience this unique job that is more than a “regular” symphony or band gig (my hat goes off to all them as well). Most of his six years with the Marine Band were spent under the Bush Administration and I think for any Democrat or liberal this mere fact would induce an internal struggle (it certainly would for me). I asked Harry about this many times, and he was always very realistic about his role in the Marine Band and the joy that having such a special patriotic job as a professional musician brings him. I wanted to share his experience with you. Established by and Act of Congress in 1798, the Marine Band is America’s oldest continuously active professional musical organization. Its primary mission is unique – to provide music for the President of the United States. Harry plays at funerals in Arlington cemetery, marches almost every summer night for the tourists, for VIP’s and dignitaries at the White House and inauguration. Every fall the Band tours a different part of the lower 48 states and this year they passed through the Bay Area. I did a quick interview with him over drinks after a show at Davies Symphony Hall in San Francisco. These are some of the intelligent (and not so intelligent) questions I had for him. Harry: Well it’s hard to tell because it still early on. It takes about a year for a new administration to find out what they musically want from the Band. I’ve played for events that Obama was at. J: You played at Inauguration, right? H: When you saw musicians under the ledge where Obama was standing, that was us. We’ve been very close to him. I looked up and it was present Obama. I looked up, and he was right there with Aretha Franklin with the hat! It was great. I played at the Press Correspondent dinner too. We played before the dinner. We do a patriotic opener, a bunch of marches, we help out with the colors ceremony and then we play the Armed Forces Medley that you heard tonight. J: That was really moving. H: Yeah. It’s really great to see all these veterans with their families standing up. We had a concert in central Oregon where we had about ten World War II veterans: a couple of which were at Iwo Jima. It’s really cool to have a role where we get to represent the Marine Corps, America and great Americans like them. You sometimes forget when you watch the news that members of our Armed Forces are people too with families. It’s really interesting to get that perspective. 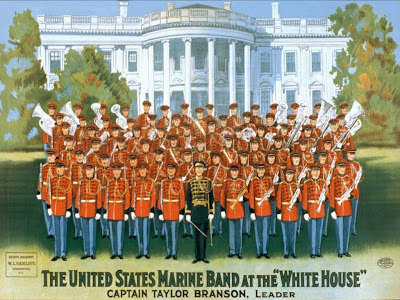 The Marine Band is the longest continually active musical organization in the country. We’ve always been part of the Marine Corps. All the musicians you saw tonight with the exception of the director are all in the marines. 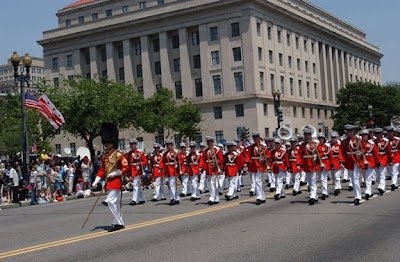 We have a non-combatant role; our mission is to provide music for the President and the Commandant of the Marine Corps. It’s a very different experience than Fleet Marine Bands. We all represent the Marine Corps and our country in the best way that we can and we’re all the best at what we do. I competed against fifty other musicians to get one spot. Some other musicians have 100 plus people to compete for one spot. We have a group of fleet marines who graduated in the top five percent of their infantry class and are assigned to our Band to help us out. They are excellent at what they do and we really appreciate them. Each [component of the U.S. military: Army, Navy, Marines] has a premiere band and we are very fortunate have our own stage crew. In some of other bands, the musicians have to be their own stage crew. J: How did the Band get the name “The President’s Own”? H: Thomas Jefferson coined the term “The President’s Own.” And that’s stuck ever since. We first performed at the White House in 1801 and then we played at every inauguration since Thomas Jefferson. J: I notice that there were very few women in the concert tonight. The harpists are usually women and they weren’t playing tonight. H: The ratio of men to women is 60/40. We only have one harpist and she just had a baby. H: Well our uniforms are very traditional uniforms from the 1800s. J: What it’s like to be the face of the military abroad and within the United States? H: We had a group of musicians that went to Singapore last year to help the Armed Forces Band celebrate their 50th anniversary. In the summer of 2001 the Band performed for the World’s Symphonic Band Conference, it’s sort of like the world cup for bands. When we went there we had such a reputation. It’s an amazing responsibility and it is such a pleasure. I wasn’t there, I was still in college, but I heard we did four encores and the audience wanted more. J: How do you deal with the political side of being in the Marine Band? H: When we’re on the job we have to leave our personal beliefs at the door no matter what. We are here to serve for the President regardless of who it is. Personally I have to separate my own personal feelings and what I have to do as a job. 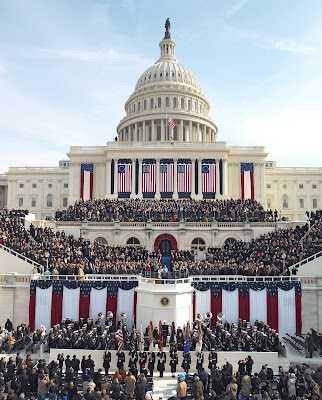 Inauguration was a very special thing for me, but I still had a job to do. I find Harry's attitude towards his job particularly inspiring as a patriot. It's folks like him that make me, as I get older, more and more proud of being an American. I hope you find his experience inspiring as well. If you want to read more about Harry and his background (especially interesting is his take on being born in Indonesia and his relationship to the United States military), check out this interview with him in the Seattle Pi. I just thought ya'll would get a kick out of this. I did. In preparation for the more food I'm going to consume today I took a walk around the lovely Lake Merritt in Oakland, California today which I live close to. I wanted to bring some music, so I grabbed my CD player a couple of CDs (Depeche Mode's Music for the Masses and Doves Kingdom of Rust if you must know) and threw them in this awesome cassette tape bag my brother and his fiance gave me for Hanukkah. Does this make me a hipster, retro or just lazy that my boss gave me her old Nano mp3 player months ago and I've not uploaded my music on it yet? Also, I own one of these tape players. I do my interviews on them. For those of you that are wondering about this Green Day musical I've been going on and on about, click here and listen to this track. I am so happy that the awesome vocals of Rebecca Naomi Jones, Christina Sajous and Mary Faber are featured on this track. They have such amazing voices. American Idiot translates so well to the female voice, this is one of the things about this musical that I love so much. I can't wait to hear the entire recording of this show. The arrangements are incredible. You'll see. Here's a silly video someone made with the audio track edited over it. Happy Birthday to Dina of Ramon and Jessica! Sunday nights are for taking it easy and letting your brain have a little bit of a break before the week begins again. Sometimes you feel like staying in, and sometimes you feel like a relaxing night out with mellow music. If you're in the mood for the latter, check out the new Seaweed Sway monthly showcase at the Make-Out room this Sunday the 20th. It's purpose is to build community around local music and and highlight some of the best music in the Bay Area. The organizer is local music, farming and yoga enthusiast Jessie Woletz, and her blog is the Seaweed Sway. This showcase falls during the holiday season and will be encouraging the festive, so wear your ugly holiday sweaters! I know you have one left over from the last party you went to. Bring a non-perishable (healthy if possible) food item to donate to the San Francisco Food Bank and get $1 off admission as well. December's showcase will feature some of the best indie/folk/pop music in San Francisco from Garrett Pierce, Kacey Johansing, Ramon & Jessica, and MC'd by Jeremy Dalmas. 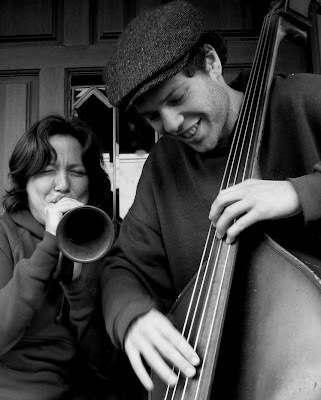 Stick around for a dance party in honor of Dina Maccabee (of Ramon & Jessica)'s birthday, for those who can stay out late. Come celebrate! Sunday night style, so it starts early, but latecomers are welcome. Doors at 7:30, music at 8 sharp. 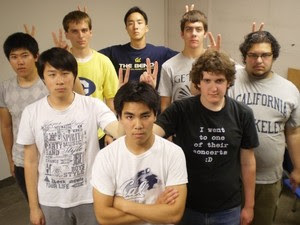 UC Berkeley men's a cappella group Noteworthy goes viral with Lady Gaga's "Poker Face"
Since we're all on this Glee/Lady Gaga/Sing Off kick, Bay Area folks will especially appreciate this video of the UC Berkeley men's a cappella group Noteworthy singing Lady Gaga's "Poker Face" with absolutely fabulous entertaining choreography. As of 11:50 PM on December 17, 2009 the video has received 1,072,697 views. The song features Brian Wang sashaying and singing lead on the verses and Joey Goodknight singing the crap out of the chorus. 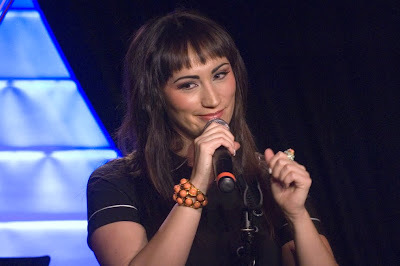 The performance is from the 9th Annual West Coast A Cappella Showcase on November 13, 2009. These men deserve some major kudos for dancing with such gusto and channeling their inner divas! GO FOR IT BOYS! These are photos my friend's Sharon and Jeffrey (who I met waiting in line for RENT) took from about ten feet away from the Bill Graham Civic Auditorium stage in San Francisco. I have to give them props for waiting in line for so long to get such a great spot. While you can sure find better professional quality photos, there's something fun in knowing that a regular person with a regular camera can get such a great view. At the Gaga concert the night before I was hanging out over on the side, not able to see a whole lot. At least the Civic Auditorium has giant digital screen for us short people. Enjoy! And thanks for letting me post your photos Sharon and Jeffrey! Yesterday I got a surprise phone call from a friend who had an extra Lady Gag ticket: did I want it? YES! Yes the show was fun and crazy and WOW what is she wearing now??? I wished that Gaga played a little more piano however. She only tickled the keys for two songs. But, that's okay. I was there for a stage show, and that's what we got. But the highlight for me was seeing how the fans came out in full force, dressed to the nines, even a Lady of Perpetual Indulgence was in attendance. 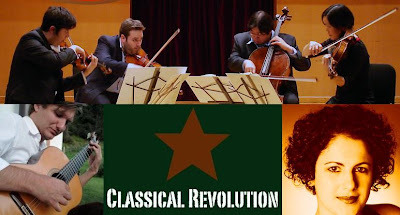 If you are into performing music for not just folks in concert halls, please do yourself a favor and check out the organization Classical Revolution. They might put on shows near you. Check out CMASH, a Bay Area collective of musicians and composers. If you are ever in the market for singers who can really sing, look to musical theater. I’m probably not telling you anything you don’t know. If you are a fan of Glee or Adam Lambert, you probably know that all of these people have honed their skills and talents in the world of musical theater. Luckily for San Francisco, we have the Rrazz Room at Hotel Nikko that showcases singers; REAL singers, not the type of cookie cutter vocalists that we have become accustomed to on American Idol. Last Monday, December 7th, the Rrazz Room was graced by the presence of California native, Eden Espinosa, who has set herself apart from the pack singing the roles of Maureen in RENT and Elphaba in Wicked on Broadway, Los Angeles and San Francisco. 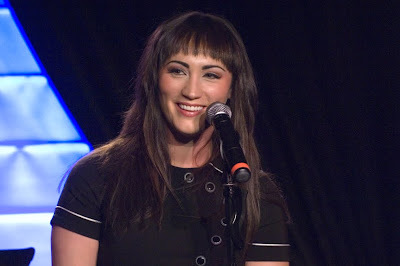 She also starred in the Broadway production of BKLYN (see this gorgeous performance of "One Upon A Time"). On Tuesday Espinosa performed a set list inspired by friends and family, featuring everything from Garbage’s sizzling “I Would Die for You” to Joni Mitchell’s “Both Sides Now.” Unfortunately there was no printed set list and Espinosa didn’t identify many of the songs, so I can’t tell you what else she sang other than a tune from the film An American Tail. This video is a month old and I had seen it a couple weeks ago. But I came across it again and I think it's worth sharing. Glen introduced a new song, inviting the audience to sing along. Upon a quick rehearsal of our part, he heard one voice that he dubbed "Aretha" and promptly invited it's owner, Moji to join him onstage. Here is the magical result! I love when she cues the band to come back in with louder dynamics. She's obviously a pro. "I'm Telling You I'm Not Going" has, since the film version of Dreamgirls become the song for divas. American Idol contestants have sung it, Bianca Ryan has sung it, even the Filipina Divas have sung it (and quite well I might add). If you’ve got a big voice, and you want to show it off, you sing this song. You CAN’T sing this song badly, if you do, everyone will notice. 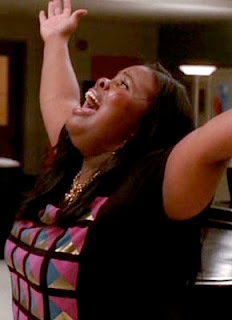 Last night we had the pleasure of hearing Amber Riley sing "And I'm Telling You" on Glee. Gawd, I love her ("Bust Your Windows"? Yeah!). But before Riley and J-Hud, there was Jennifer Holliday. She is the Godmother of them all. Holliday played Effie in the Tony winning production of Dreamgirls in the early 80s. When Holliday performs this song, it's more like watching an emotional purging. I've never seen a performance like it before, especially the one below at the Tony Awards. You can see and hear the anguish emanating from her. I really enjoy Hudson and Riley's performances of the song, but both are lacking in the way that Holliday makes you feel her pain. Both Hudson and Riley can sing, no doubt about it, but Holliday really embodies the song when she does it. Let me also just say, if I've done the math correctly, Holliday was the YOUNGEST of the three when she performed the song: she was 21 or 22. Hudson and Riley were a couple years older. So, without further ado, I give you Jennifer Holliday at the 1982 Tony Awards. Please skip to 3:30 unless you want to see the scene that leads up to the song. She won a Tony for this performance. Hello all! As an assignment for a potential internship (I'll tell you more when/if I need to) I've been asked to write up a case study about the band Pomplamoose and how they've become a financially successful internet band. I figured this would be a good blog article to have out in the world for posterity and reference, so I'm taking my assignment digital. 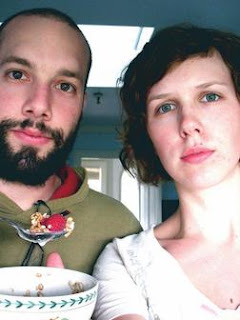 Pomplamoose has, in less than two years, become one of the most successful independent bands on the internet: they are in the top 100 most subscribed to musicians on YouTube, they have racked up over 2.5 million hits on their cover of Beyonce's "Single Ladies" and are completely financially self-sustaining; meaning: they don't need day jobs. Before I explain the various marketing and artistic tactics made by band members Jack Conte and Nataly Dawn, I must define "internet musician": what does it mean? According to Nataly, it means "being a bad musician." Yes, there are many musicians that can be found on YouTube that aren't very good; and some have enormous followings. But there are also some very talented people out there and just like the regular traditional music industry, they have to figure out clever ways to rise above the rest. But when the internet is your only resource, you can call your own shots. You don't need a record label. The internet has given musicians and artists ways of connecting with their fans directly: no middle men needed. Here is the main question: How has Pomplamoose reached the hearts of their fans? And how have they gotten these fans to spend several bucks on mp3s and merch? This is key: being a successful artist isn't really about being rich and famous, it means being able to devote all of your time to your art, and you need money for that. The way I see it, all the traditional ways of having a financially successful music career have gone out the window. Pomplamoose has eradicated managers, record labels, promoters, live shows, and even actual CDs. Granted, there are many successful internet bands that use some of these (like CDs and playing live), but Pomplamoose has left all of these behind. They've only played live twice and they don't even have a physical CD you can purchase, all of their music is digital. Just watch a Pomplamoose video. They are are great fun, and the music is good enough to take offline and listen to when you're not looking at YouTube. Nataly has a gorgeous voice and her harmonies are well constructed. Jack's musical abilities are varied, well thought out and the mixing and editing is flawless. -Nor­mal duds, nor­mal envi­ron­ment. No span­dex, no fog machine. - Gear. Lots of it. - Sub­di­vi­sion of the video frame: over­lap­ping tracks visu­al­ized as over­lap­ping views. - Per­for­mance! This isn’t just a hid­den cam­era in the stu­dio. It’s nat­ural, it’s unpretentious—but it’s still a performance. [Pomplamoose's VideoSong] is show­ing us a com­pli­cated, vir­tu­oso per­for­mance, but mak­ing it really clear and acces­si­ble at the same time. It’s enter­tain­ing, but it’s also an exer­cise in demystification—which of course is exactly the oppo­site objec­tive of every music video, ever. Their pur­pose has been to mys­tify, to mas­quer­ade, to mythol­o­gize in real-time. This demystification is one of the most powerful tools that Pomplamoose and other video bloggers use. Music lovers crave something "real" which is why if they think your music is good AND they like you as a real person, you've got a way in. This is true of any successful blogger (video or regular blogger). You have to be cute, funny or on the flipside, totally horrible. Either way, you have to present yourself in a way that people will want to keep coming back to see what you're doing and what you have to say. Fans think of the musician/blogger as their friend, someone they'd want to hang out with. 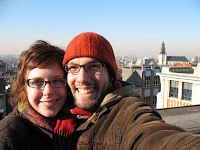 Nataly and Jack are the most adorable couple: she is a smart self-deprecating cutie-pie who likes cereal. Jack is a goofy multi-instrumental smartypants who is obviously totally in love with his girlfriend. They have amazing musical chemistry as well as a social chemistry that you can see when they sit in front of their computer and chat. Pomplamoose is on: YouTube, twitter, myspace, facebook, digg, iTunes, E-junkie and I'm sure many others. It's true that the average person is probably only on a couple of these sites, but many of these services are free, so why not take the time to set up and account. Nataly and Jack said that two-thirds of their sales come from iTunes and the other third comes from E-junkie. But they like E-junkie better because you can post a song immediately and E-junkie takes a smaller cut than iTunes. Nataly and Jack have asked their fans to contribute designs for virtual album covers and t-shirt designs. Many of these designs can be found online for all to see, for example as the Pomplamoose myspace profile picture. People love to see their own names in print, they also love to see hard work acknowledged and available for others to see. Fans eat that up, it makes them feel truly appreciated by the musician. Covers must be free due to copyright issues; Pomplamoose has used this to their advantage. Nataly and Jack put just as much work and time into covers as they put into their originals. I downloaded all of the free Pomplamoose mp3's off of E-junkie. If I decide to spend another $10 or so to get the originals, it would feel like a 2 for 1 deal. I also want to support my "friends" so that they can keep making more music that I love. Covers also get viewers who aren't fans yet to take a peek. I saw "Single Ladies" posted on facebook, and since I like the song, I was curious about a cover. Unlike some other artists I've come across, Pomplamoose's originals are just as good, if not better than their covers. So if a viewer is impressed with the originals after seeing a cover, he or she will be more likely to spend a little bit of cash. There has been Pomplamoose soap (handmade by Jack's sister) and dongles (flashdrives). Who else sells stuff like that? They told me that they'd like to do more merch sales that help support and promote artists and craftspeople. Both the soap and dongles completely sold out and were sent to 30 countries. People LOVE to support Pomplamoose. Their fans are very loyal. I really love watching bloggers have some sort of relationship. Pomplamoose are fans of Julia Nunes and talk her up on YouTube. Julia and Pomplamoose talk to each other through their YouTube videos and fans can watch these coversations. Pomplamoose goes to Julia's house and produces some tunes with her. They make a video about it. Julia's fans mesh with Pomplamoose's fans. It's a big love fest. Nataly and Jack really think of YouTube as a community, they get crap for it, but it makes sense to me. Pomplamoose has only played twice in the last two years, this is one of the main things that set them apart from almost every other band. 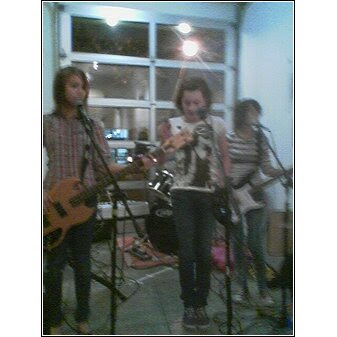 They played their second show ever at the Brainwash Cafe last month in in San Francisco. There literally wasn't enough room for everyone who showed up and folks were outside on the sidewalk. Pomplamoose has fans all over the world. Until they're financially successful enough to tour extensively, they'll focus on what they do best: videos. Also, preparing to play live is a whole other skill and takes up a good amount of time, so they have chosen not focus on that. I was actually wondering where Pomplamoose was heading and what they might have in store for the future. The VideoSong format is really cool, but it might be losing some of its novelty value. "Come on! Keep impressing me" says the fan. But then I checked Pomplamoose's twitter feed: They're looking for horn players. Nice. Step it up! I don't know how they're all going to fit in Jack's little recording studio, but it will be interesting. There are many other ways to be a successful "internet musician." One of my favorites is Kina Grannis. She's got another style all together and each musician will. But you have to cover all of your bases so that you win the hearts (and pocket books) of your fans. As I said earlier, being a successful artist isn't about being rich and famous, it means being able to devote all of your time to your art, and you need money for that. If your fans really love you, they will support you. "Look at Jewish history, unrelieved lamenting would be intolerable, so out of every ten Jews god designed one to be crazy and amuse the others. By the time I was five I knew I was that one." The President also said that he saw Blazing Saddles when he was ten, well under the age limit for the associated rating at the time. You will not convince me that this movie, about a black man taking a leadership position and proving his success with a heroic intelligence, did not leave a lasting impression on the 10-year-old Barack Obama. There is just something so poignant and beautiful about that. Just wanted to report that the fundraiser was a success! I don't know how much money was raised, but there were over 65 pieces of art donated and most of them were bid on. Everything I donated was sold which is very excited for me! Thanks again Jen, Lauren, Jemal, Jessica, Diana and Erin . Poison Apple Pie played a fabulous set including "Superman" by R.E.M., "21 Guns" by Green day, "Don't Stop Believin" by Journey (complete with the intro that Torrey and I worked on last week), and originals "I Need a Chainsaw," "Flying Swines of Doom" and my favorite, "I Don't Want to Hug You." The last one sounds like a 1960s garage band tune. They've just been getting better and better and better. I can't believe they are all only 12. I sold two lessons, one to someone I know and one to someone I don't know. Should be interesting! Anyway, everyone did a fabulous job and I am very happy to have been part of it. If you saw So You Think You Can Dance last night, you saw Jakob Karr and Ellenore Scott give everyone goosebumps with the modern choreography of Sonya Tayeh. The performance received a standing ovation from the audience as well as from all three judges making them freak out quite a bit (there was a lot of screaming). Nigel called the performance "fabulous" and his "favorite routine of the season." See the video below. But I'm not going to talk about the dancing; I'm a music writer! I will say, however that it was moving performance, especially when Jakob and Ellenore walked forehead-to-forehead across the stage at the beginning. The habanera rhythm used in the song - like the aria with the same title from the 19th century opera Carmen by Georges Bizet - really lends itself to modern dance. I love it when traditional pieces of musical composition fit right into modern pop culture. Ellenore and Jakob used the Cuban rhythm to undulate across the floor. 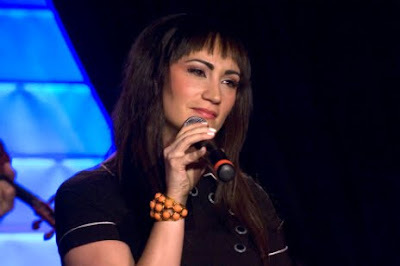 The pauses in the song also add to the drama of the performance, which Sonya Tayeh's choreography brilliantly mirrored. 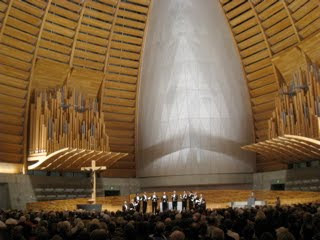 click here to enjoy a video of the performance. 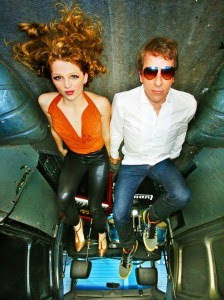 OONA is the magical pairing of singer/keyboardist/lyricist Oona Garthwaite and drummer/songwriter/jack-of-all-trades Dave Tweedie. Their music is what I call electro-soul-pop, yes, I just made up a genre. 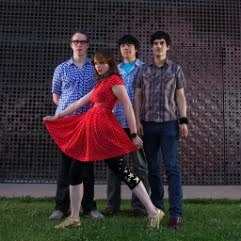 But think of it: soulful vocals with a pop mentality that makes you want to shake your booty. Oh, just listen to some of their music! The song is now available on iTunes. Congrats guys! Oona Garthwaite volunteers with me at the Bay Area Girls Rock Camp.